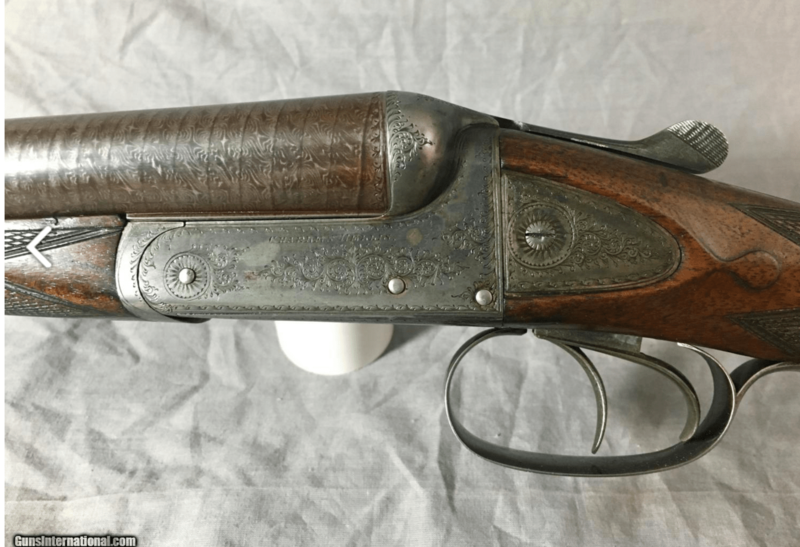 Here’s a real nice boxlock ejector that just popped up on the market. 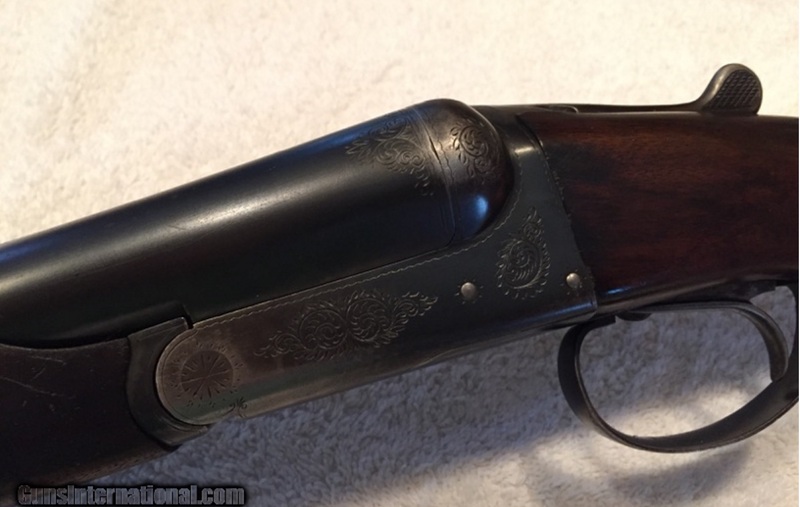 It’s a Charles Hellis with awesome damascus barrels, and if I didn’t already have enough doubles, I would be on the phone to the seller trying work out a deal for it. 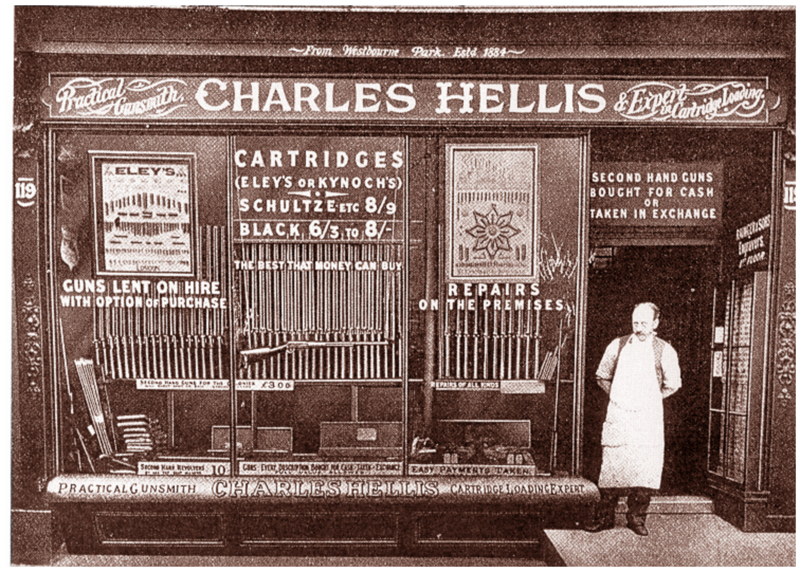 Charles Hellis, gunmakers, was founded by its namesake in 1884, and by the 20th century it was another of London’s prosperous gunmakers. 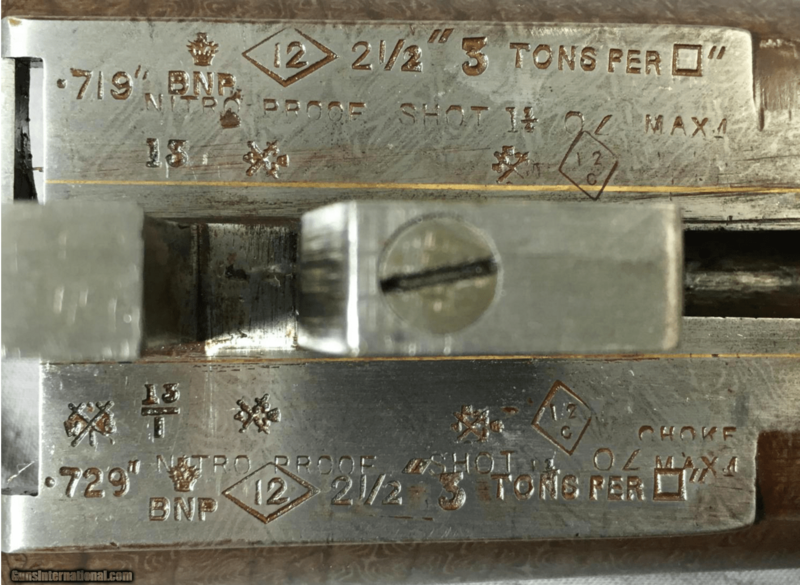 Hellis made many different grades and types of guns, from modestly-priced boxlocks to Best-quality sidelocks. 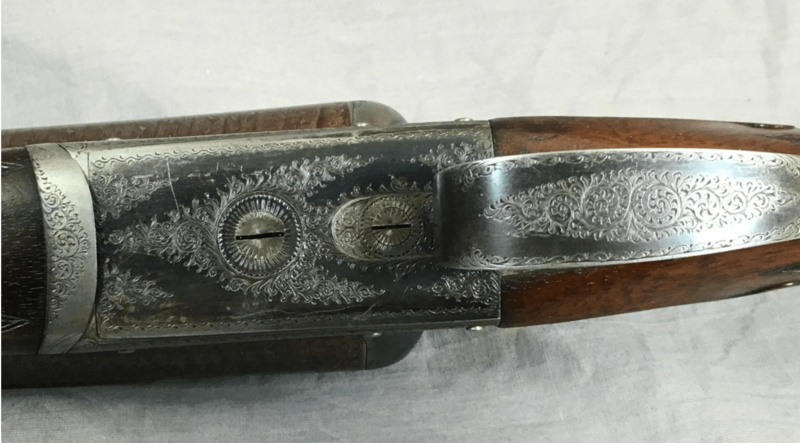 The company also specialized in lightweight boxlocks and sidelocks tagged “The Featherweight” and usually engraved with images of feathers on the actions or lockplates. 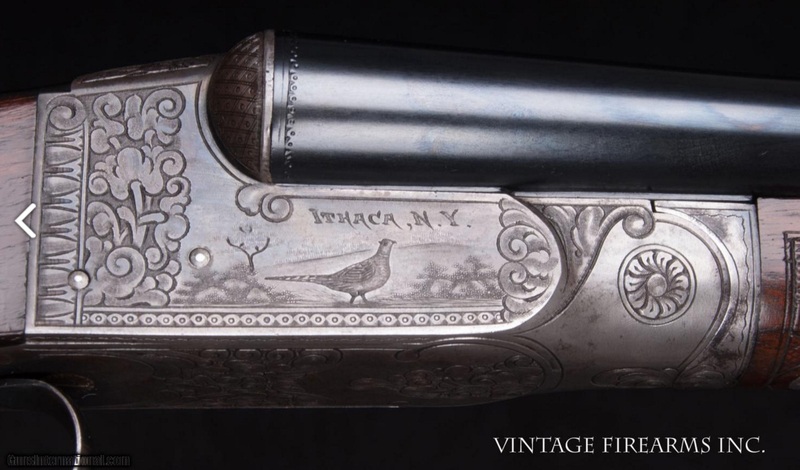 The inlayed side panels on this Hellis boxlock are another of the company’s signature styles. 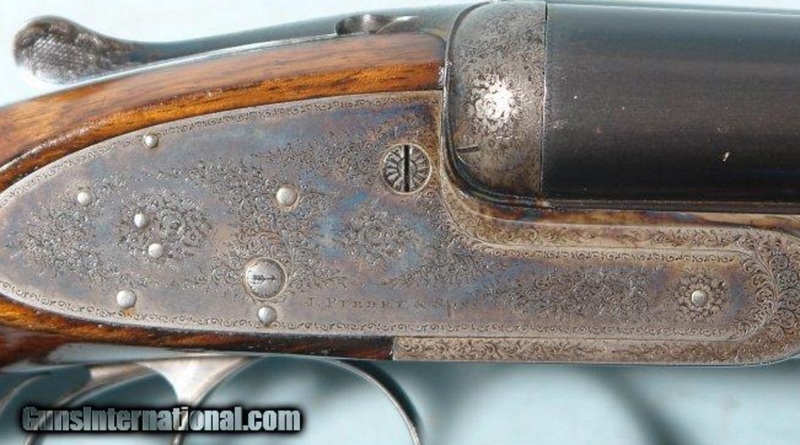 Something to note: Check out the proof marks on this gun. 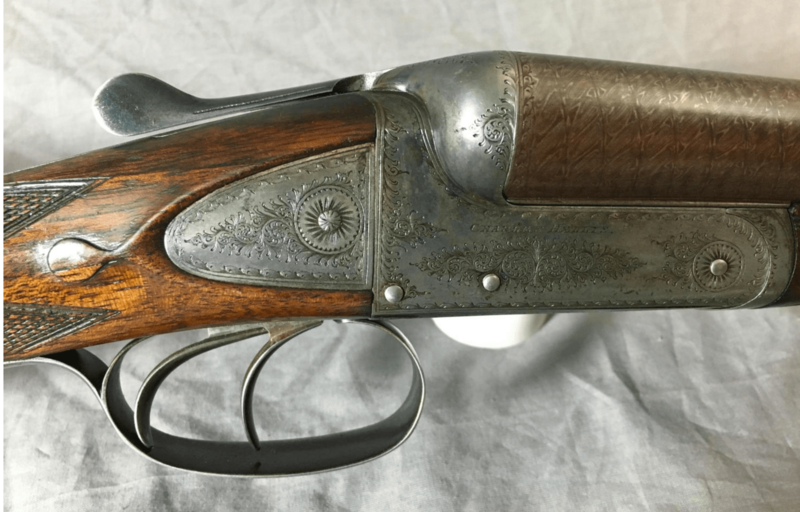 The barrels were originally proofed at two different bore sizes: 13 and 13/1 (.710″ & .719″) and the reproofed at .719″ and .729″ (13/1 & 12). 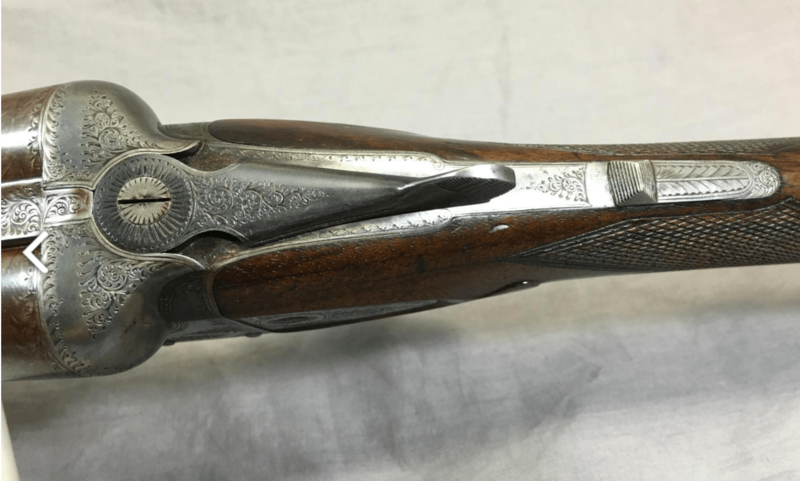 While it’s unusual to see a set of barrels with two different bore sizes at proofing, it’s not unheard or wrong in anyway. What’s important is that both tubes are in proof with good wall thicknesses (which is the case with this SxS). 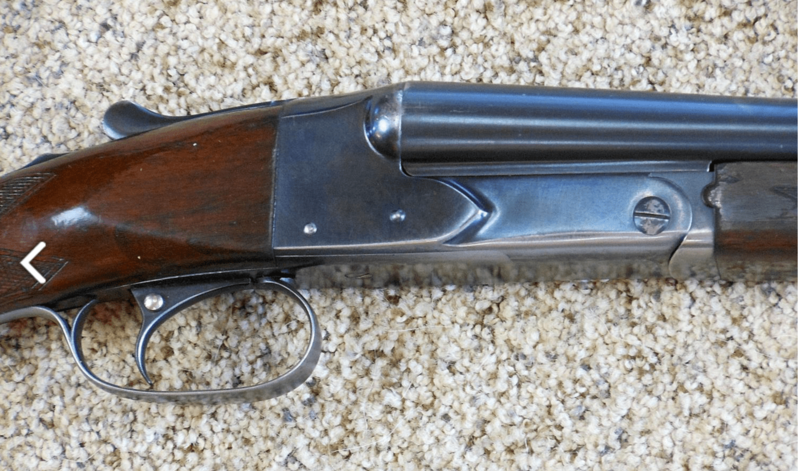 CHARLES HELLIS 12GA Boxlock Ejector Side-by-Side. 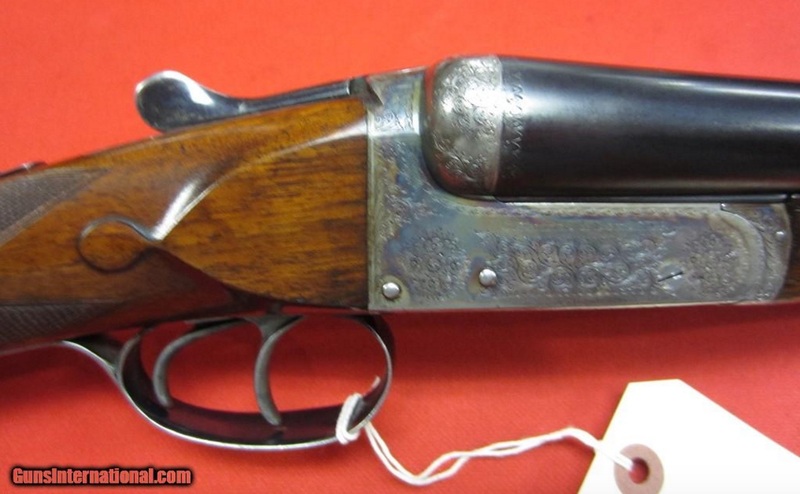 Nice forend tip — unusual for a boxlock.